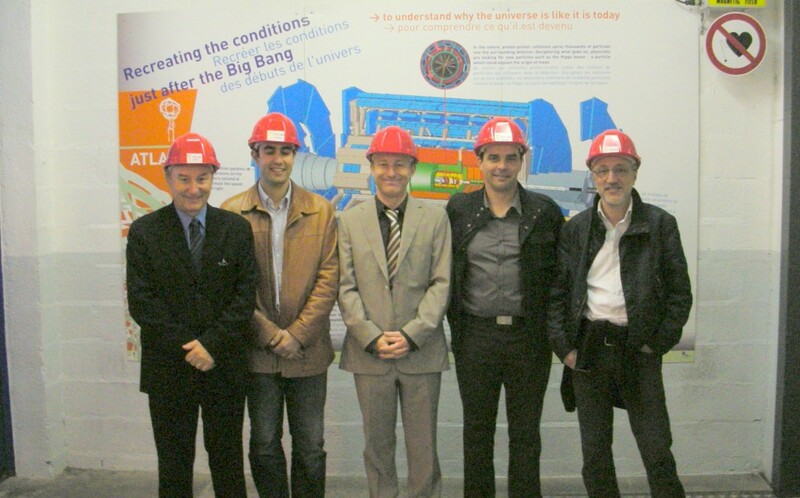 Joel Hourtoule and Jose Gascon of the Steady State Electrical Power Section together with Jean Jacques Cordier, Ingo Kuehn and Giuliano Rigoni from the ITER Design Integration Section in front of the ATLAS detector last week. Last week, a delegation from the Power Supply and Design Integration divisions set off for Switzerland. It wasn't the country's famous ski slopes that the group was heading for, but another Swiss highlight: the CERN Laboratory and one of its biggest attractions, the ATLAS detector. The ATLAS experiment is very similar to ITER in terms of its size and complexity, and with regard to its design integration work. The goal of the visit was to exchange methodology and experience in the management of digital mockups called configuration management models, and to benefit from CERN's experience in the application of cable management software in order to select software for the ITER Project.